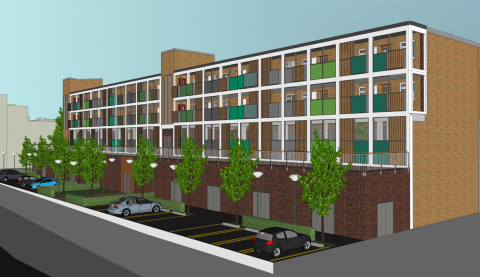 AD Architects was asked to explore the economic viability of refurbishing a 1960s mixed-use block in the centre of Romford, located between the edge of the conservation area and a major housing regeneration area. 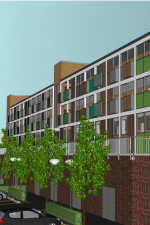 The task was to explore solutions to improve the performance and appearance of the four storey block, which includes retail, office and residential, from a practical, technical and visual point of view, within a minimum budget. Our research and engagement included historical research, engaging structural and building services investigations, and interviewing occupants of the building. We arrived at three options which included a range of different interventions and cost levels, and together with cost consultants Stace, we provided the client with sufficient technical and cost detail to allow them to make informed decisions about the future of the building.